Our users at Life360 often share stories of how they’re using the app – whether it’s about how they are staying connected with their families or have ease-of-mind from monitoring new teenage drivers. The stories of gratitude we receive on a daily basis keeps us working hard to constantly improve our app. We recently connected with one of our users, Melinda, who shared a review on the app store recapping how Life360 helped her son after he was in a car accident. Below is her story. Melinda has a 20-year-old son who is in the military and often travels in between cities to visit his family and his girlfriend. One night several months ago, he was planning to drive back from a weekend with his long-distance girlfriend in Virginia. 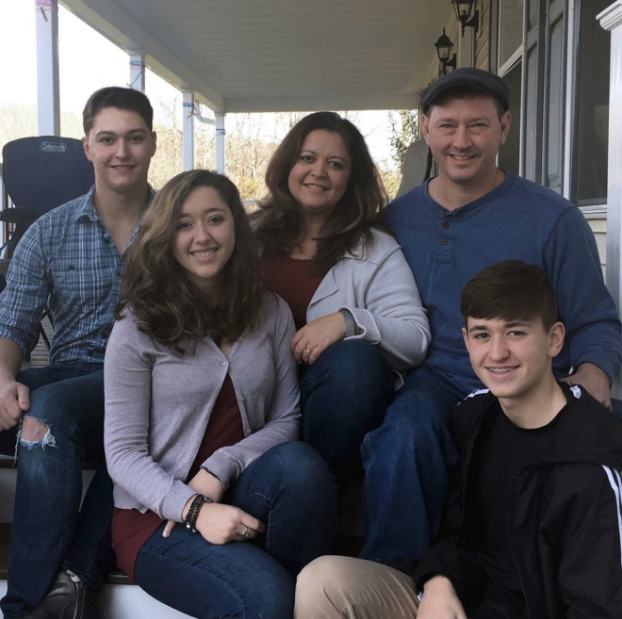 As a worried mother, Melinda requested he download Life360 so she would feel at ease with him driving alone in the middle of the night – which he’d do often to avoid traffic. Unfortunately, at around 1:45am during his drive, he crashed on the highway, and his phone screen shattered. Life360, sensing the collision, immediately dispatched emergency services and ambulances were on the scene to take him to the nearby hospital. When Melinda awoke the next morning, she saw she had been notified by Life360 about her son’s accident. Her heart dropped and was terrified when she called her son and his phone was dead. Our users at Life360 often share stories of how they’re using the app – whether it’s about how they are staying connected with their families or have ease-of-mind from monitoring new teenage drivers. The stories of gratitude we receive on a daily basis keeps us working hard to constantly improve our app. We recently connected with one of our users, Danielle, who offered to share her story about how Life360 helped give her peace of mind when her son started driving for the first time. Just like any parent, Danielle was feeling nervous about her son beginning to drive. She had been a Life360 user for a few months when she decided it was time to upgrade to a premium plan with Driver Protect. Upgrading to Driver Protect gave her the freedom to worry less knowing that even when she wasn’t in the car with him, Life360’s driving features like roadside assistance, crash detection and emergency response, would be there to help with all of life’s unpredictable moments – big and small. Her newfound confidence allowed her son the freedom to explore more, without having to constantly check on him that he made it to his destination safely. Our users at Life360 often share stories of how they’re using the app – whether it’s about how they are staying connected with their families or have ease-of-mind from monitoring new teenage drivers. The stories of gratitude we receive on a daily basis keeps us working hard to constantly improve our app. We recently connected with one of our users, Angela, who offered to share her story about how Life360 helped give her peace of mind when her son had car trouble far from home. Angela had been a Life360 user for a few months before she decided to upgrade to Life360 Driver Protect. 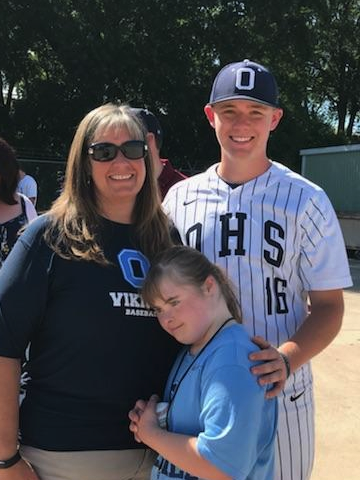 She was specifically interested in receiving weekly driving reports for her son, who has mild autism and drives himself two hours to work every day. One day as her son began the two hour drive home, she got a call from him that he got a flat tire. After spending 30 minutes on the phone with her insurance agency to try and locate him to send help, she remembered her Life360 plan offers roadside assistance. Our users at Life360 often share stories of how they’re using the app – whether it’s about how they are staying connected with their families or have ease-of-mind from monitoring new teenage drivers. The stories of gratitude we receive on a daily basis keeps us working hard to constantly improve our app. 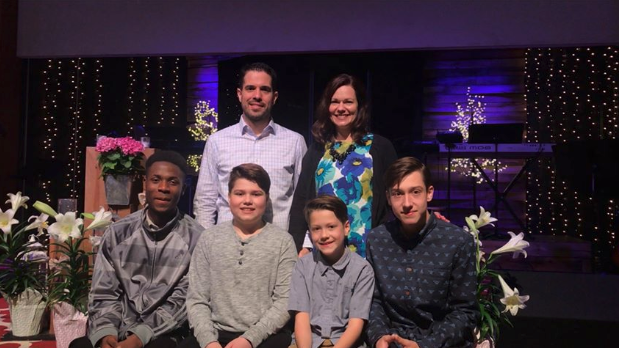 We recently connected with one of our users, Ryan, who offered to share his own powerful story about how Life360 helped save his two sons after a terrible car accident. On Wednesday, April 4, 2018, Ryan’s two sons, ages 16 and 13, were driving on the freeway and collided with another car. The teenagers’ car, veered off the road, down an embankment, hit a tree and flipped over. Ryan is a therapist and was in the middle of a session when Life360 automatically dispatched emergency services for the boys, and a representative contacted him and his wife that there had been an accident. SAN FRANCISCO, June 15, 2018 – Life360, the leading location sharing app that protects and connects families, today announced the addition of Ben Kim as the Vice President of Product. Previously, Ben has held positions in mobile-focused roles such as Groupon and Gametime and will bring his expertise of the mobile consumer industry to Life360. In 2006, Ben joined Yahoo! as a Senior Product Manager for Yahoo! Search, Mail and Messenger, across mobile platforms – all before the adoption of the iPhone when users didn’t have said tools at the tips of their fingers. In 2010 he joined Groupon as a Lead Product Manager for the iOS and Android apps helping grow the company to hundreds of millions in annual revenue. Most recently, Ben held the position as SVP of Product at Gametime, a leader in mobile, last-minute ticketing, where he saw the company through Seed to Series B funding rounds while continuing to grow and build the company product. As Life360 expands its premium offerings, like Driver Protect that includes crash detection and emergency response, weekly driver reports and extended roadside assistance, Ben will be responsible for mapping out product strategy and ensuring the company’s mission and vision are met through new updates and features. Life360 is the world’s leading location and driving safety service that helps protect and connect families by offering intelligent location sharing, coordination, and driving safety features. A leader in family tech, Life360 gives families peace of mind when they are not together. It’s available on iOS and Android. Founded in 2008, Life360 has raised over $90M in venture capital and is headquartered in San Francisco. For more information, visit www.life360.com. At Life360, our goal is to keep families safe and connected no matter where they are. That includes when they are on the road. With April being Distracted Driving Awareness Month, we are extra focused on promoting safe driving practices for all ages. We hope to be a part of the solution in preventing the over 3,000 avoidable deaths that happen each year as a result of distracted driving. While other companies ,– like AAA — have reports identifying the rise in distracted driving, we were able to uniquely leverage our unrivaled location technology and largest source of driving data in the world, to take a closer look at the makeup of distracted driving across the U.S. to identify where (and with whom) improvement is needed most. The most surprising? Teens are only six percent more likely to use their phones while driving than their parents, meaning that parents were hardly better than their teens when it comes to distracted driving. At Life360, location is always top of mind. So we also looked at which cities and states had the most distracted drivers. Take a look at the findings in the full report – did your city or state make the list? If you are curious to learn more about your and your family’s driving habits, Driver Protect offers users weekly driver reports on phone usage, rapid acceleration, hard braking and more. Check it out in the Life360 App, available on iTunes or Google Play! SAN FRANCISCO, February 13, 2018 – Life360, the world’s largest network for families, today announced the addition of Brit Morin, the CEO and founder of the digital media giant Brit + Co to the company’s board. In addition, Life360 hired Ariana Hellebuyck, who formerly drove the brand strategy and marketing at NerdWallet and the University of Phoenix, as the company’s first VP of Brand Marketing. Morin founded Brit + Co in 2011 with the mission to inspire women and enable them to use creativity to shape their lives. She quickly established Brit + Co as one of the largest digital media companies for women. The company reaches an engaged community of over 175 million online and across its platforms. Her leadership and Brit + Co’s rapid rise has garnered awards and accolades that include Forbes’ 30 Under 30, Marie Claire’s The New Guard, Glamour’s Female Entrepreneur Innovator, and Fortune’s 10 Most Promising Entrepreneurs, among others. Morin joins board chairman John Coghlan, formerly CEO of Visa USA and Vice Chairman at Charles Schwab, and members Chris Cheever, Partner at Fontinalis Partners, Alex Haro, President of Life360, Chris Hulls, CEO of Life360, and Ryan Swagar, Partner at Venture51. Prior to joining Life360, Hellebuyck drove the brand strategy and advertising efforts for NerdWallet, the go-to resource for all of life’s financial decisions. She also served as the VP of Brand Marketing at University of Phoenix, a subsidiary of Apollo Education Group, where she launched the “I am a Phoenix” campaign, transforming the University of Phoenix into a household name. Life360 is the world’s leading location and driving safety service for families available for Android and iPhone in a convenient and secure mobile app. A leader in family tech, Life360 gives families peace of mind when they are not together. As the largest source of family driving data in the world, Life360 provides safety insights around driving behavior to better protect family members on the go via location sharing, day-to-day communications, driver updates, emergency response features, and more. Founded in 2008, Life360 has raised $76M in venture capital and is headquartered in San Francisco. For more information, visit www.life360.com. At Life360 we receive a lot of great stories from our users, from parents monitoring their new drivers to families staying connected while traveling across countries; the amount of different ways that people use our app has always been incredibly inspiring. Sometimes we receive more harrowing stories, ones that include locating drivers from accidents or loved ones getting lost in dangerous areas. This particular story is about a family rescuing their daughter from her abductor, which luckily, had a happy ending. The family has been gracious enough to let us share it with the Life360 community, in hopes that others will take strong precautions with their own family safety. On behalf of my family, I’d like to express our deepest gratitude to your company and to all of the individuals who have worked to develop and maintain your Life360 app. Below, I’ve summarized our story of how your app saved the life of our precious sixteen year old daughter last month. We’ve heard from many who’ve obtained this app, once they heard of our harrowing experience. We realize that this post’s shares reached into the millions, many of which we earnestly hope will soon have become your customers. We’re so thankful for the opportunity to celebrate another Christmas with our family intact. Without your app, this would, most likely, never again have been a possibility. Thanks to you, that chair that would otherwise have been empty at our Christmas table, is again filled with this beautiful, bubbly blessing whom we call Myleea. Below is an abbreviated version of the story from Life360, to read the full story please visit the original post here. In late October of last year, 16-year-old Myleea was with her family spending their final hours together with her grandmother at a local hospital. Looking for some support, she decided to text a friend in the area that she had met at summer camp a few years back. They mostly kept in touch online, so she wasn’t very familiar with him in real life but was glad for the company. They stayed together in the lobby for a while until they decided to go for some coffee and fresh air. It wasn’t until they were in the car, driving further and further away from the hospital, that Myleea realized that this person whom she thought she could trust did not intend on bringing her back at all. He thought he had disabled her phone—closing any contact with the outside world—but Myleea was smart enough to send her location to her parents using Life360 by briefly connecting to his phone’s hotspot. Gone for more than a few hours now, her worried and desperate parents got the authorities involved in their daughter’s disappearance. They followed the last known location of Myleea’s phone signal, which sent them to an extremely remote landfill, featuring nothing but acres and acres of desolate sand pits. They looked for hours late into the night with the police until they had to call the search off. Not to be deterred, the family went back to the location themselves after regrouping, searching deeper and deeper into the darkness. Finally, their flashlight reflected on a far-off, seemingly abandoned car. Upon closer inspection, they opened the door and found the man that had abducted Myleea! They held the man at gunpoint while Myleea got out of the car, badly shaken but alive, and waited for the authorities to arrive. While they could hear sirens in the distance, all they could think about was how their daughter was returned and safe. Myleea and her family were able to spend that Christmas together as a family. It’s stories like these that remind us that we’re not just building an app, we’re helping families and friends stay safe. Could your family use peace of mind with Life360? Or do know one that could? Share this article with them today. For the last decade, the handheld computers we carry with us everywhere have drastically improved our lives — from transporting us where we need to go, allowing us to see a doctor digitally, managing our bank accounts and even saving our lives by calling 911 for us when we get in a car accident. We are in a world where we are spending an average of five hours of our day on our phones (that’s 2,617 interactions with our phones on average!) — even families are opening the Life360 app over 12 times a day. You might say we’ve reached the limits of what we can do while on-the-go, but this is only the beginning of the mobile revolution. In the new year, we will see innovations in mobile technology continue to improve lives in even more fundamental ways. Take the safety and security space: the connected home security industry is on track to reach $15.6 billion globally by 2021 with more and more companies introducing advanced alarm systems, doorbell cameras, etc. But all of these innovations have the same problem: they are limited to only protecting your actual home and what is inside it. Meanwhile at Life360 we’ve been connecting families on-the-go, bringing them peace of mind and security beyond the home for years. Millions of families use our services across the world and in the U.S. alone, and Life360 has doubled its size in the last 12 months making 2017 our biggest growth year. And today, with the official launch of ADT Go, this vision of leveraging mobile technology to better serve people in their daily lives is even more of a reality with ADT’s use of our entrusted, proprietary location tracking technology and driver safety services to arm their users on-the-go. Together we are redefining the concept of personal security with a shared goal to allow families to feel safe and synchronized beyond the front door, no matter where they are. This new kind of personal security is just a taste of what’s to come for the mobile space, as major industries including health, insurance and finance shift to mobile-first innovation. Imagine a world where these industries turn to advanced location technology to improve their services for their users. The future of mobile will be a 360-approach to securing everything in your life, not just in your home. We are excited to be a part of it. We’re excited for an even bigger 2018! We have new things in store that will make staying connected with your family and friends an even better experience. We can’t wait to share it with you all.